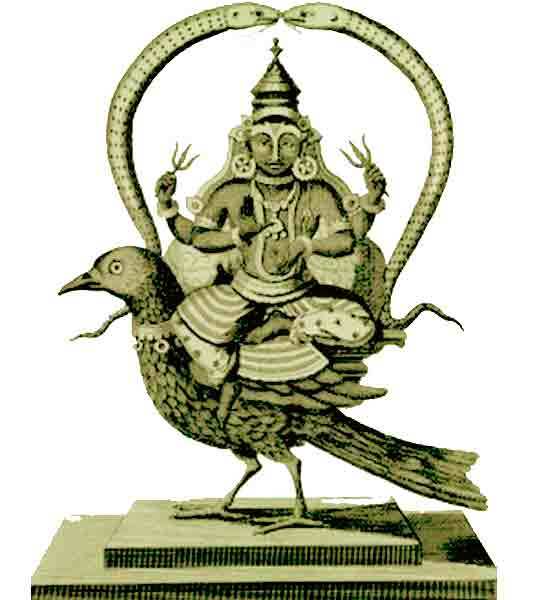 Shani is the planetary god of Saturn whose position in the astrological chart of an individual plays an important role in his or her destiny. Depending upon his position and strength, he may exert either positive or negative influence upon the lives of mortals. Although it is not easy to please him, the adverse influence of Shani can be reduced by invoking him and praying to him. There are temples in India where Shani is the presiding deity and where he is worshipped with offerings of vegetable oil, flowers and food. Those who read the following prayer everyday at morning experience prosperity and auspiciousness and stay free from the adverse influence of Shani.